Lisa Waller was born and raised in Tallahassee Florida. Her great-grandmother, Daisy, originally moved to Tallahassee and established her roots here nearly 100 years ago! Her grandmother of 98 years, Gerry, was born and raised and still resides in Tallahassee along with other members of her immediate and extended family. Lisa has experienced living in states outside of Florida including Alaska, Maine, Alabama, and North Carolina. 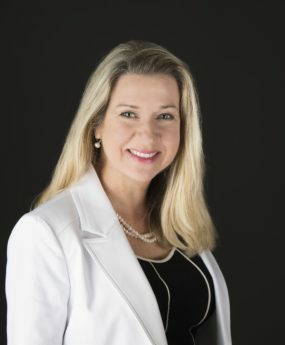 She spent thirteen years in Jacksonville, Florida and served as vice-president of a family owned business before moving back to her hometown of Tallahassee, known for its picturesque canopy roads and esthetically beautiful downtown area! Lisa’s passion for Real Estate and her desire to help others accomplish their dreams is apparent in her hard work ethic. Consistently on the Presidents list while acquiring her Paralegal degree, studying Interior Design, and Home Staging; all of which lend to a solid background for a career in the Real Estate industry. In addition to her formal education she also has extensive personal experience including military relocations and client relationship development and retention. Lisa is the mother of two grown children and a grandmother to a beautiful granddaughter. Her son lives in California and her daughter, a military wife and mother, resides in Kentucky. She loves to travel and has visited 48 of our 50 states! Her hobbies include hiking – especially in the mountains, horseback riding, spending time with her two boys (fur babies), Roco and Buckwheat, and taking in all the great opportunities and activities that Tallahassee has to offer! Lisa’s attention to detail, willingness to listen and understand her clients needs, and a strong work ethic allows her to quickly gain the confidence and trust of her clients! If you are ready to embark on your new Real Estate transaction, contact Lisa Waller and get started today!